Having moved numerous times as an adult, with and without kids, I’ve learned quite a bit about organizing and decluttering. Hopefully the knowledge I’ve gained will help you with your decluttering challenges. Some people are declutterers and organizers by nature; I became one as a result of circumstance. My husband and I have lived in eight different homes/apartments since we got married 15 years ago, and I consequently have a LOT of experience packing, unpacking, and setting up house. I think that’s a good thing! 1) If I were moving, would I take this? Sometimes we keep things around just because they’re there, we think we might use them “someday,” or they aren’t taking up much space. But if you had to carefully wrap it in bubble wrap and pack it in a box, would it be worth the hassle, or would you leave it behind? If it’s something you would get rid of when getting ready for a move, get rid of it NOW! It doesn’t matter if you’re actually moving or not — it’s all about asking the question and being honest about the answer. This is also a good question to ask yourself before you make a purchase. I’ve found that I’m much more likely to grab little knick-knacks and doo-dads from Target or other stores when moving isn’t on my mind. But since I’ve become accustomed to moving, I am SO much better at saying “no” to unnecessary purchases because I know it’s just going to be one more thing I’ll need to deal with packing or organizing down the road. 2) If I were to pack the contents of this drawer/cabinet/shelf into a box, would it have a logical label? 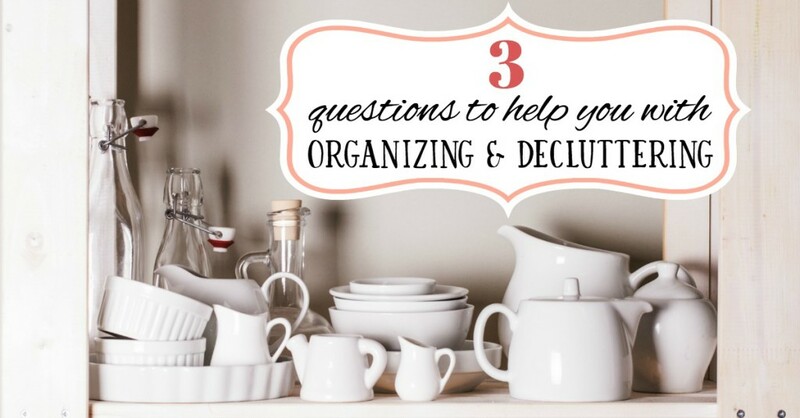 This is a great question to ask if you want to get things organized inside your home. I’m sure my mom fondly remembers the time we were at the tail end of packing for one of my cross-country moves. We were both completely exhausted and frustrated, and when she asked me how we should label the box we’d just packed, I grabbed the sharpie from her hand and scrawled “CRAP” in huge letters across the top of the box. That pretty much summed it up. Earlier today, as I was putting things into a catch-all cabinet in my laundry room, I realized that if I were to pack and label the items in the cabinet, it would have to say: Pool toys / candles / paper napkins / wrapping paper / flashlights. That would not be a fun box to open and put away in a new house. I forced myself to stop then and there and put everything in a proper place, so that there’s not another Box of Crap in my future. Even if you aren’t moving, taking the time to put things with other similar items will make it so much easier to find them when you need them. Instead of scratching your head and trying to remember where you stashed something, you’ll know exactly where to look because it will be stored with other, related items. 3) Would this be easy to pack quickly? 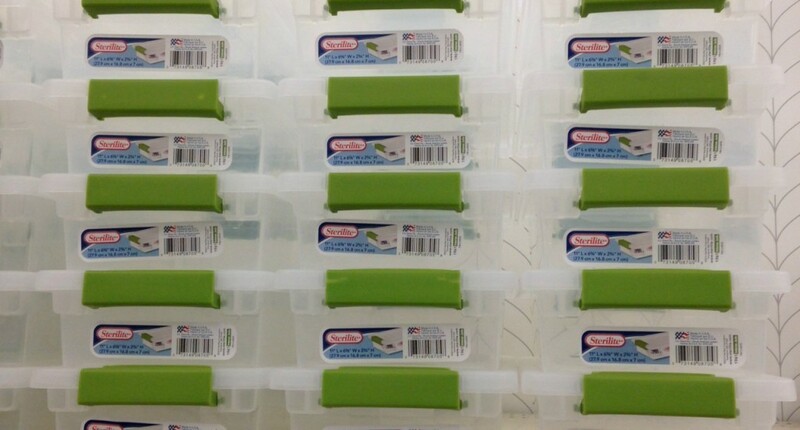 My numerous moves have made me a HUGE fan of clear plastic boxes with lids. I love them because I can easily see what’s inside, and they come in all shapes and sizes to accommodate just about anything I need to contain. I like to use stackable ones to organize inside cabinets, and shallow ones to place inside drawers to hold loose items like hair accessories, pens/pencils, first aid supplies, and other small things that could end up rolling around and getting lost. You can use a label maker or just some masking tape and a sharpie to label what goes inside. Not only do the bins keep our cabinets and drawers more organized, but I love knowing that when we do move again, I’ll be able to just toss a bunch of these smaller boxes inside a larger box and call it a day. I’m also a big fan of using binders for paper organization. Instead of stuffing papers into a folder or envelope, I break out my handy 3-hole punch and place them into a binder. It keeps the papers neat, and makes it SO much easier to find things when I need them. (For items that can’t be hole-punched, I place them inside a sealable envelope that attaches to the binder. Bonus: If I ever needed to pack up my paperwork for a move, I wouldn’t have to worry about loose papers flying around or getting crumpled up inside a box. Whether you’re planning a move, or you just want to work on decluttering and organizing your home, these tips are a great place to start. Moving as much as we have hasn’t been easy, but I can honestly say that I’m grateful for how it has helped me to keep a more streamlined and organized home. Hopefully this advice will help you, too! 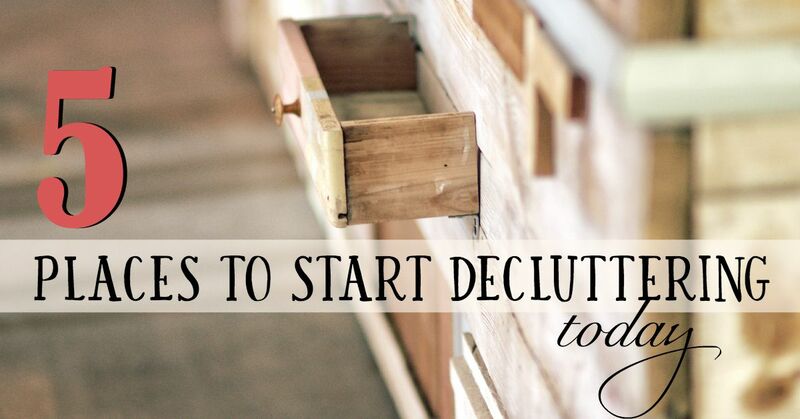 PS — If you’re looking for more tips on how to get started on decluttering in a manageable way, check out my post ON 5 PLACES TO START DECLUTTERING TODAY. I had an aha moment when packing for a vacation. I wanted to travel light. That meant multipurpose items were needed. Slip on shoes made good airport shoes and house slippers. Neutral colors are good for skirts,slacks and shoes. A big shirt was a makeshift house robe. This made me consider the practical side of minimalism. I agree…packing for a trip always gives me good perspective on what I actually need. And it’s freeing to pack light!